From The Man with the Golden Gun to The Beach, Thailand has long dazzled the silver screen with its desert-island beauty. The narrow spit of land between the Gulf of Thailand and the Andaman Sea has become the go-to destination for Hollywood stars and humble backpackers, an intoxicating blend of tranquil temples, bustling coastal towns and postcard-perfect beaches. This is a country that has it all: the glittering capital city of Bangkok with its chaotic street markets, ancient temples and slick shopping malls; pampering yoga and spa retreats secreted away on castaway islands; ancient temple complexes guarded by chattering monkeys; lush jungle teeming with exotic wildlife; and luxurious hotels situated on private beaches, beneath dramatic rock formations and among tropical gardens. More than twice the size of the UK, with around 2,000 miles of coastline, and home to some of the world’s oldest rainforest, Thailand offers its visitors remarkable diversity. And, despite an enduring popularity with tourists, there are still ample off-the-beaten-track getaways to unearth, whisking you far away from the hustle and tooting tuk-tuk bustle of hotspots such as Bangkok and Phuket. We’ve shared three of our favourite boltholes over the page and, while we know it’s all about ‘barefoot luxury’ nowadays, footwear does come in handy, so all you have to do is decide which type suits you best. 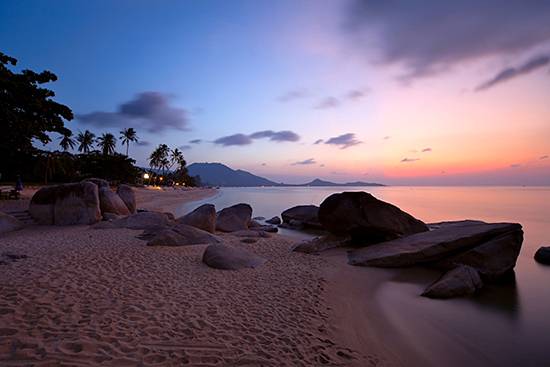 Koh Samui is a sizeable island in the Gulf of Thailand that was originally popularised by backpackers. Today it’s home to trendy Nikki Beach (of St Tropez fame), where you’ll find bikini-clad beauties enjoying sunset parties, and a plethora of luxury hotels and spas with manicured private beaches that are peppered with honeymooners. Look beyond the gloss, however, and you’ll still discover dinky temples tucked away down narrow alleyways, wheeled food stalls selling freshly caught and curried fish and seafood, and refreshingly unspoilt beaches. There’s snorkelling and diving galore, traditional fishing villages to potter around and even Thailand’s only rum distillery, Magic Alambic, to explore. Take time to visit Ang Thong Marine National Park and you may find yourself in a scene straight out of the Leonardo DiCaprio film The Beach, swimming in emerald lagoons flanked by towering limestone cliffs, encircled by rainforest that echoes to the sound of nesting swallows. The ruggedly beautiful region of Khao Lak, which is centred around a smattering of villages on Thailand’s west coast, north of Phuket, is perfect for active types who are looking to head a little way off the beaten track for their holidays. Here, seemingly endless bone-white sandy beaches arc around the turquoise waters of the Andaman Sea, all dwarfed by hills blanketed in dense rainforest. Khao Lak-Lam Ru National Park is a mystical place of sheer sea cliffs, gnarled mangroves, gushing waterfalls and secluded coves home to all kinds of exotic birds, as well as tapirs, gibbons and Asiatic black bears. Adventure lovers can take a long-tail boat up the Khlong Thap Liang estuary to spot the crab-eating macaques congregating in the trees; rent a motorbike to zip around the sandy beach trails that criss-cross the coast; go scuba diving off the Similan Islands, which lie to the west of Khao Lak and offer some of the world’s best dive sites; and canoe through the dramatic Phang Nga Bay. 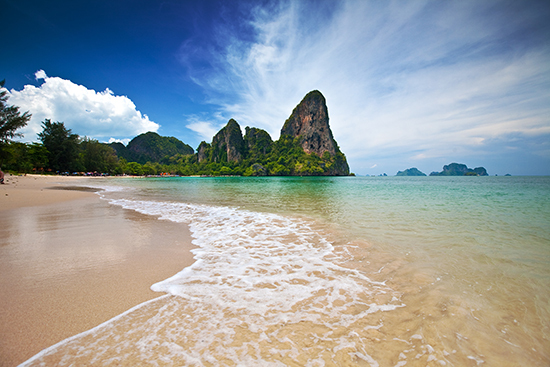 If you hanker for laid-back luxury combined with extraordinary scenery, head for the province of Krabi. Located east of Phuket on Thailand’s west coast, much of Krabi is given over to national parks, making it an ideal destination for nature lovers. It’s a place of thrusting limestone formations, which rise out of the verdant rainforest and tower above sleepy bays. Rivers meander through mangroves bursting with rare birds, only disturbed by fishermen on long-tail boats. 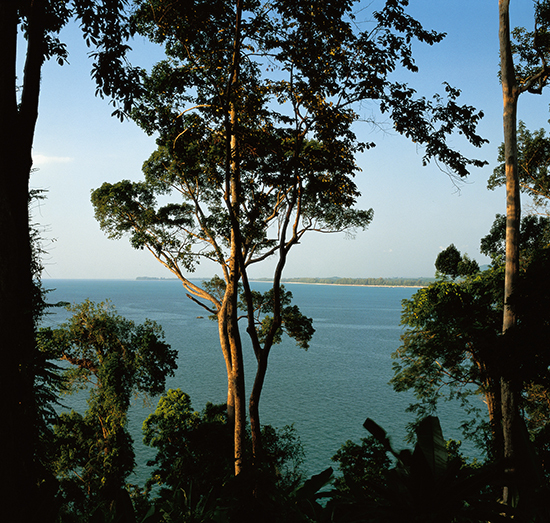 The province also incorporates more than 150 islands sprinkled across the Andaman Sea. Perhaps most famous are the Phi Phi Islands, which are highly prized among scuba divers, rock climbers and beach strollers due to their abundance of colourful reefs, unusual rock formations and pristine beaches. For sweeping views of this remarkable region, climb the 1,237 stairs to the top of Krabi’s Tiger Cave Temple complex, where you’ll find a series of gilded temples, altars hidden in caves and Buddha statues.